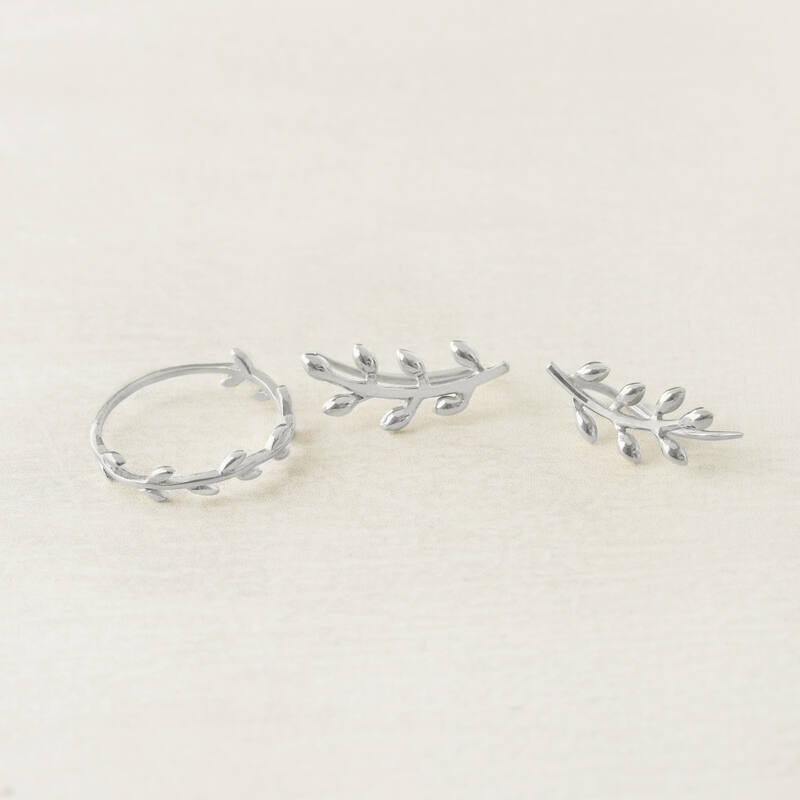 Leaf RING and a pair of earrings ear climber style. 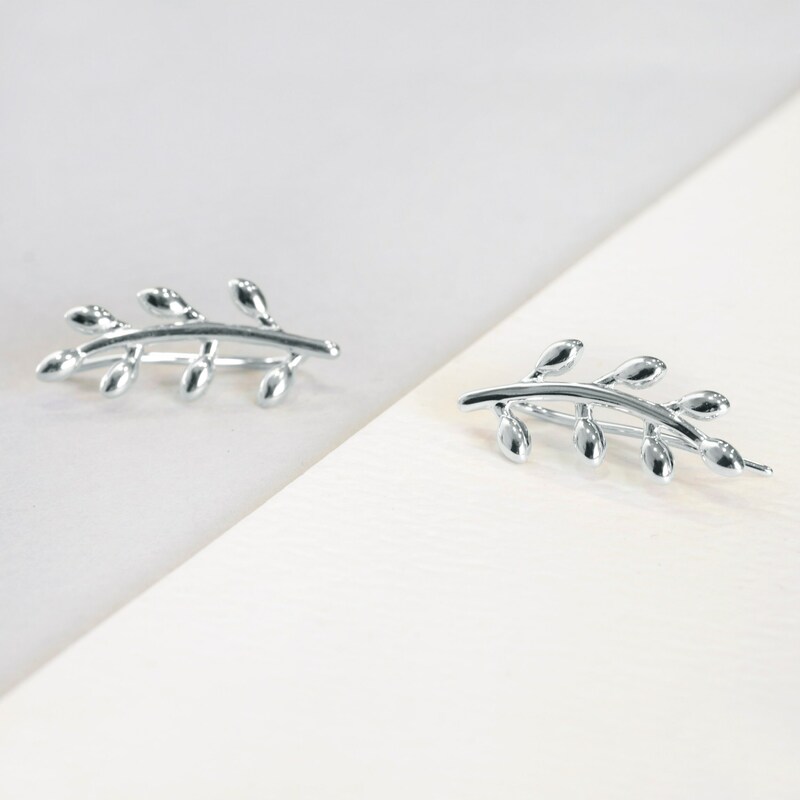 -This leaf design features a branch with tiny leaves. 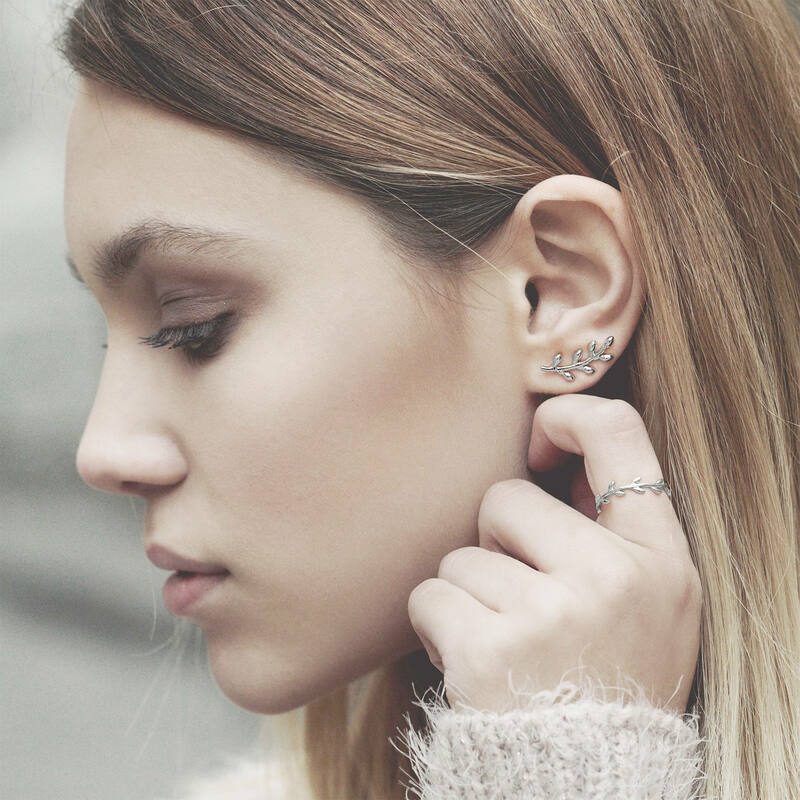 A designer jewelry that combines classic and modern trends and fuses minimalist and vanguard styles. 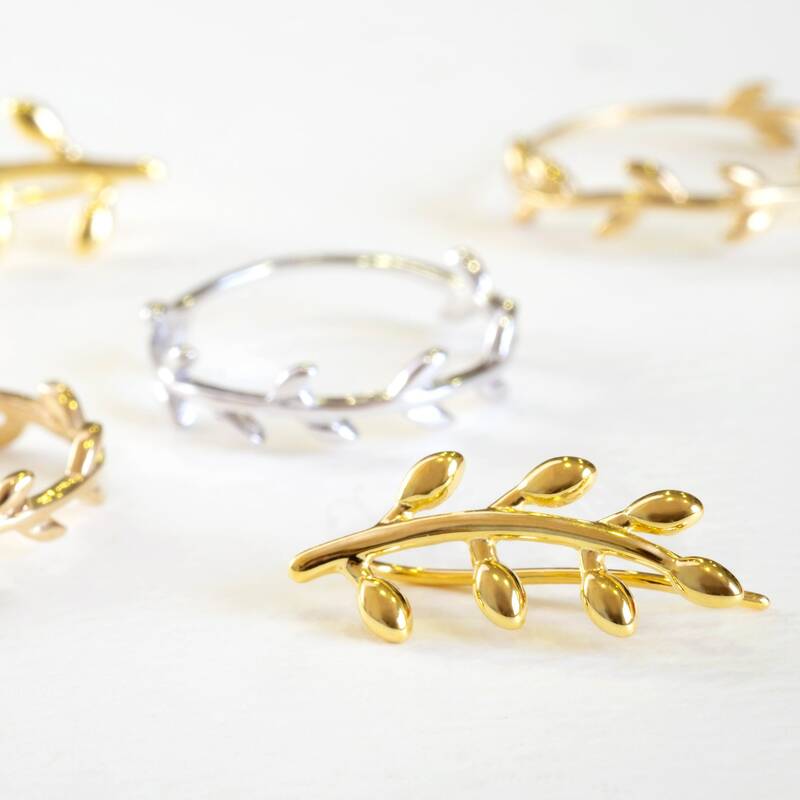 Inspired in the Mediterranean nature. They are earrings for women and a designer ring which give a singular appearance to your look. 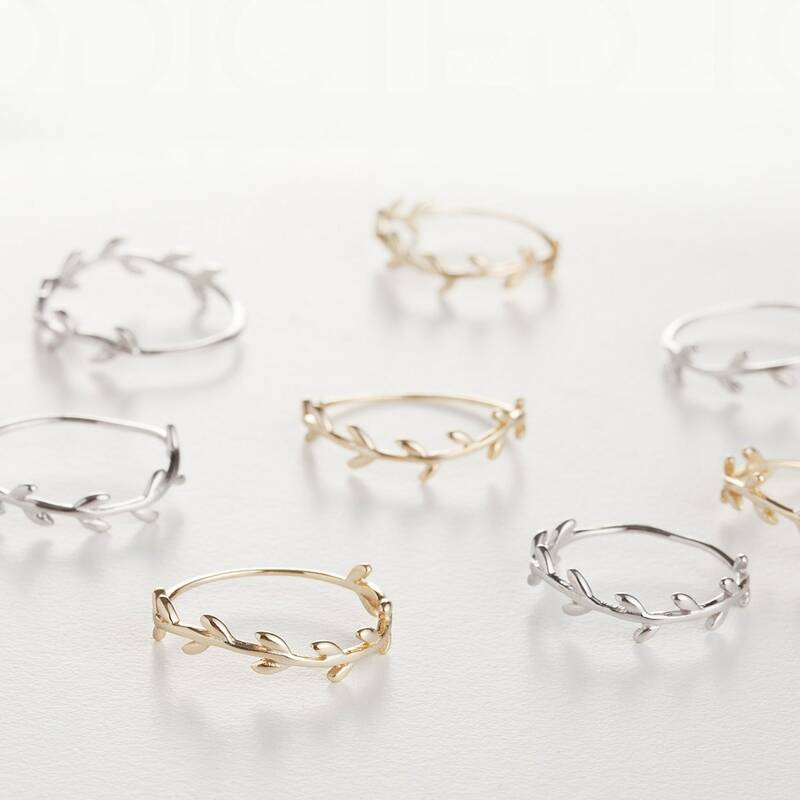 They are designed following the minimalist trend and they are thought for wearing everyday.